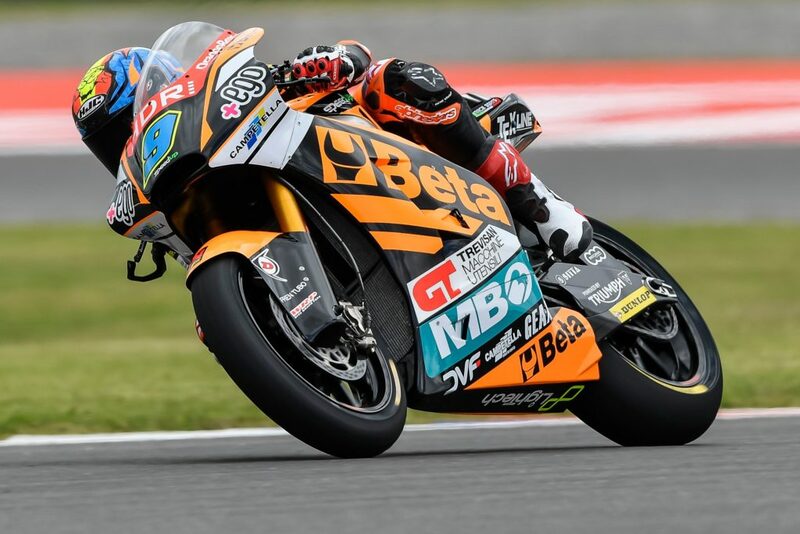 The Beta Tools Speed ​​Up team ends in points the Grand Prix Motul de la República Argentina with Jorge Navarro crossing the finish line in eighth place after 23 racing laps. After a good start the young Spaniard struggled to find the race pace losing some positions in the first laps. As soon as he found the feeling with his Speed ​​Up he started to recover positions riding with an excellent pace. Too bad for the lead taken by the top riders’ group in the first few laps that didn’t allow the number nine of the team to go beyond the eighth position, but today’s performance confirms the progress achieved by rider and team and his high level of competitiveness. “The start was not bad, but in the first three laps I missed the decision and with the full tank I felt even less confident to brake and overtake. It was frustrating because I could be much faster in those laps, but I didn’t feel like taking the risk. Then the time came when I was able to find a good rhythm and recover the positions I had lost. I turned fast until the end of the race and I’m happy about this, I absolutely have to improve the first part of the race but we are in the right direction to do great things. I am really very happy with the work done this weekend and I thank my team very much for this. See you in Texas with a great desire to get back on track”.